Categories: Janathon | Tags: excuses, Janathon | Permalink. I’ll accept that as your sick not and sign you off! Get well soon. 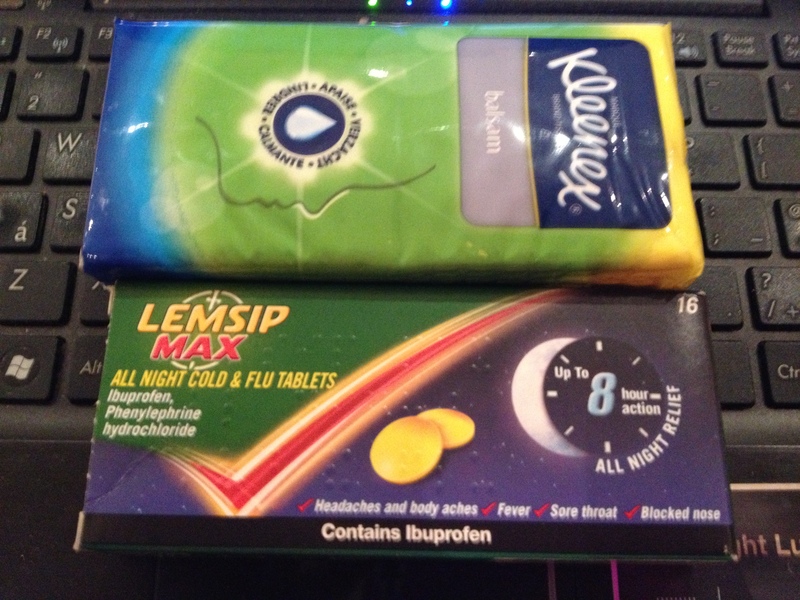 Lemsips and tissues do not constitute a sick note. Looks like you have a cold – and you can Janathon with a cold…however….get well soon! I’d accept that as a sick note. Get well soon – I’m looking forward to seeing you on Saturday ! I feel the same, but I have a whiskey liquor to add to the remedy! Oh dear poor you, speedy recovery. The rest will do you good!